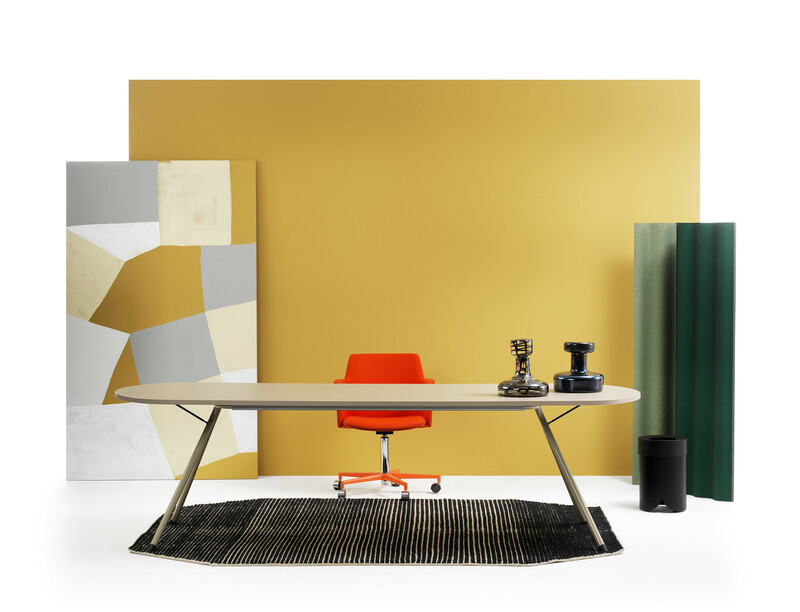 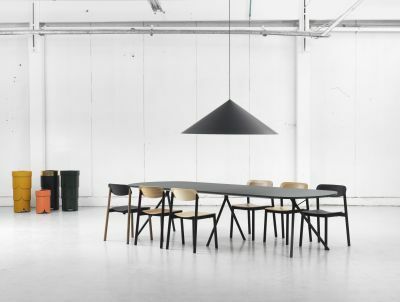 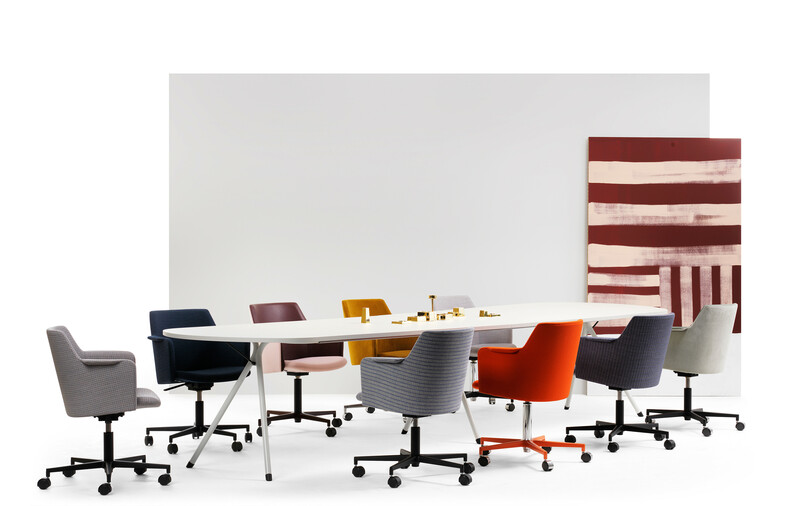 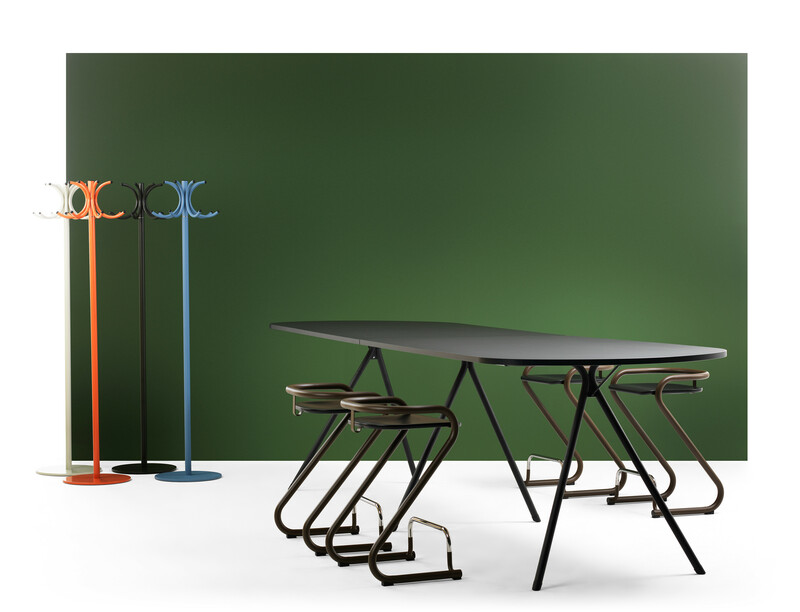 With homage to Lammhults successful S70 series, Anya Sebton flirts with the 60’s, using oversized steel tubing dimensions and play of colors in her new table series S18. 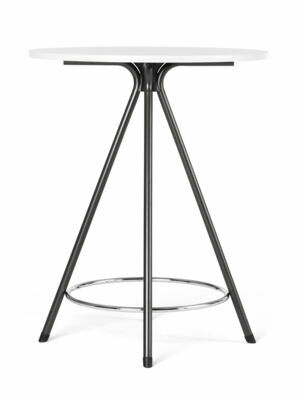 Several table top shapes, materials, different heights and frame in chrome or 30 different powder coat colors allow creating a design that perfectly matches your needs. Playful, clean and clear functional design was Anya´s keywords in the creation of S18 where her hallmark of graphical clean design is clearly reflected. 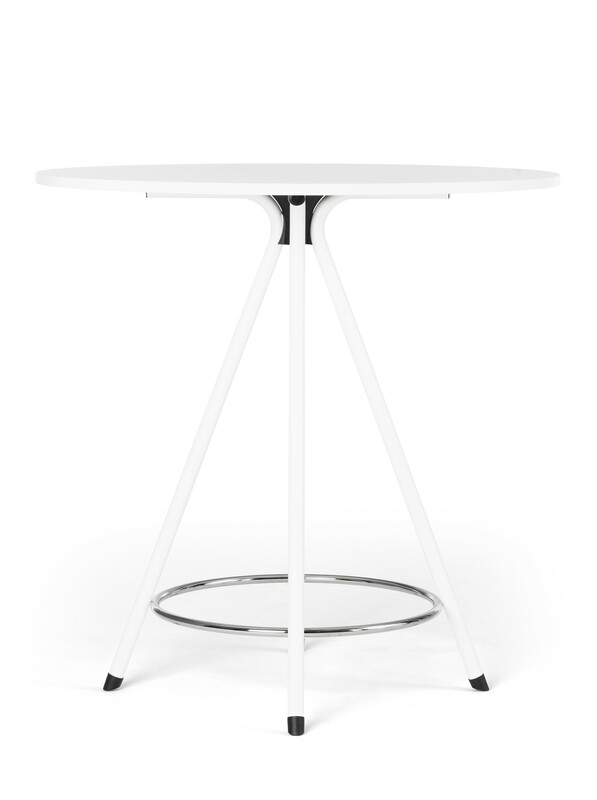 The proportions and meetings between materials and dimensions create a balanced design. 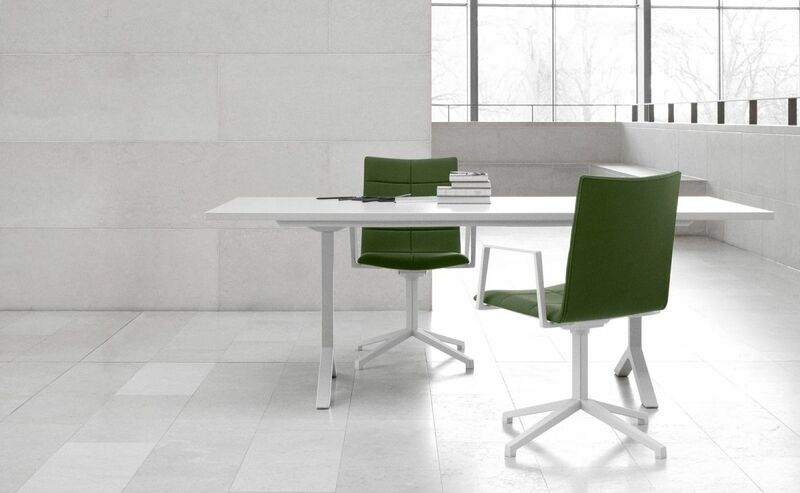 The proportions and meetings between materials and dimensions create a balanced design. 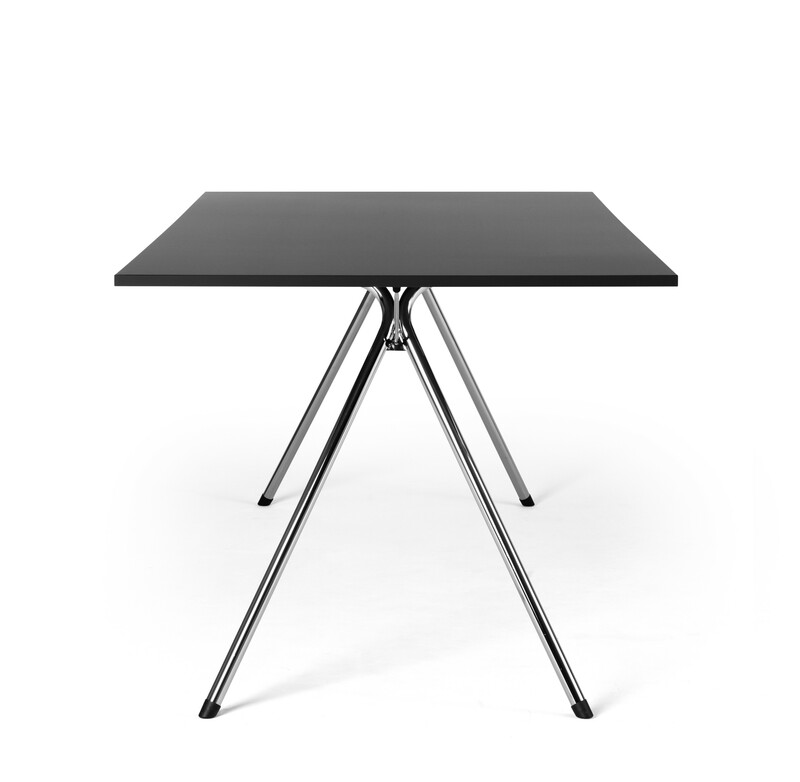 - Anti Fingerprint Melamine: PerfectSense black matt,S9000-N, with matching plastic edge. - High Pressure Laminate: Formica Color Collection with matching plastic edge. 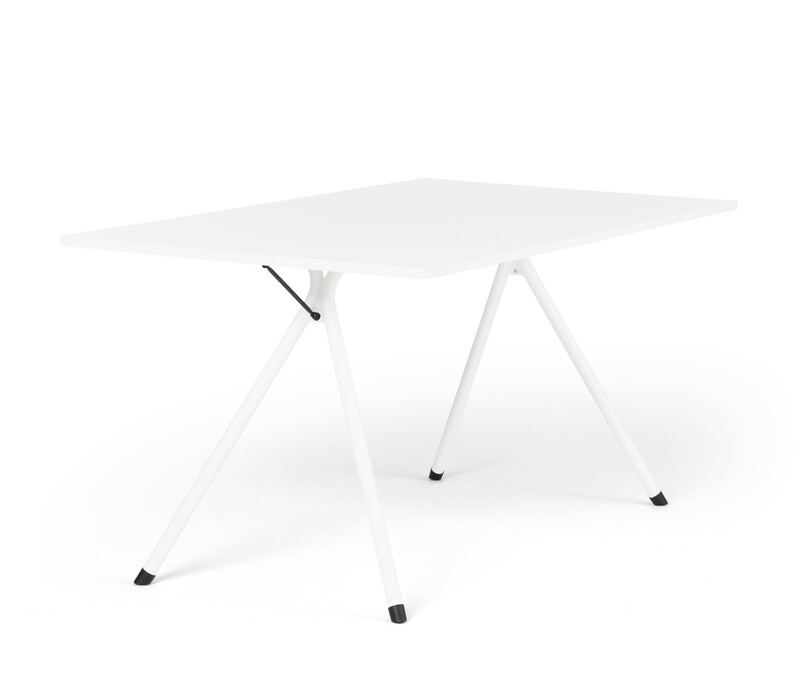 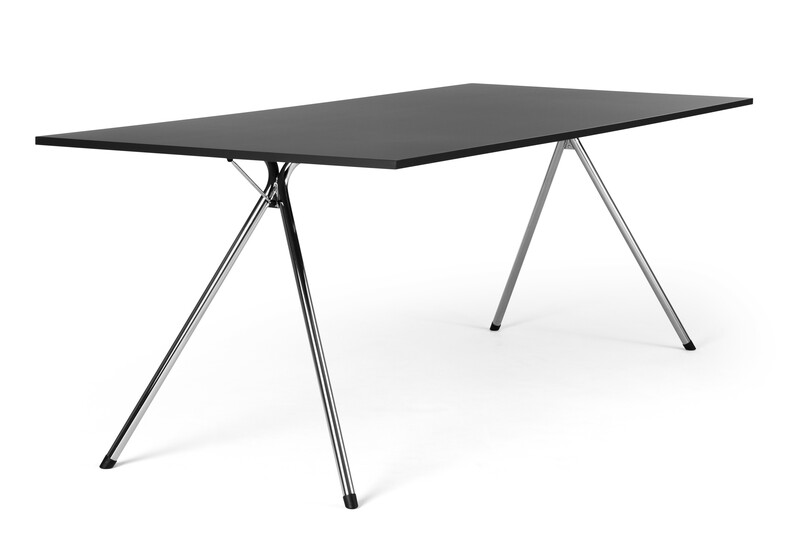 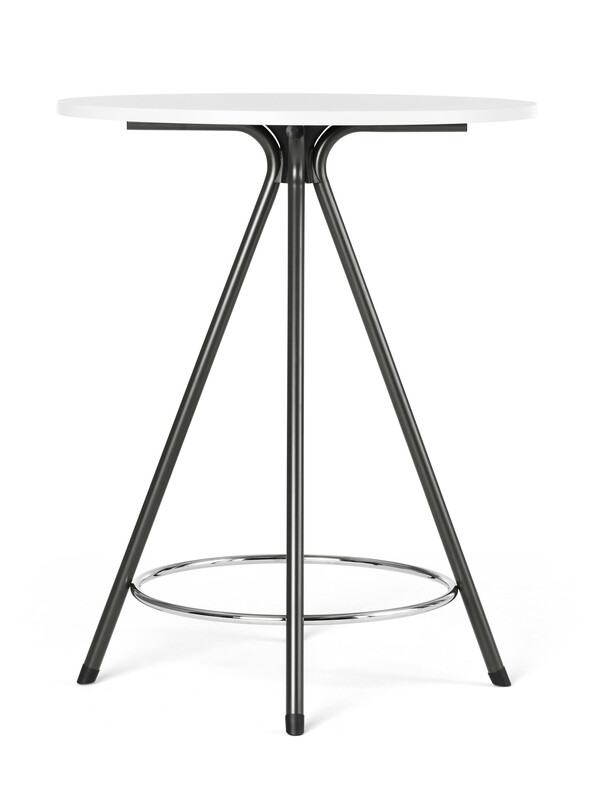 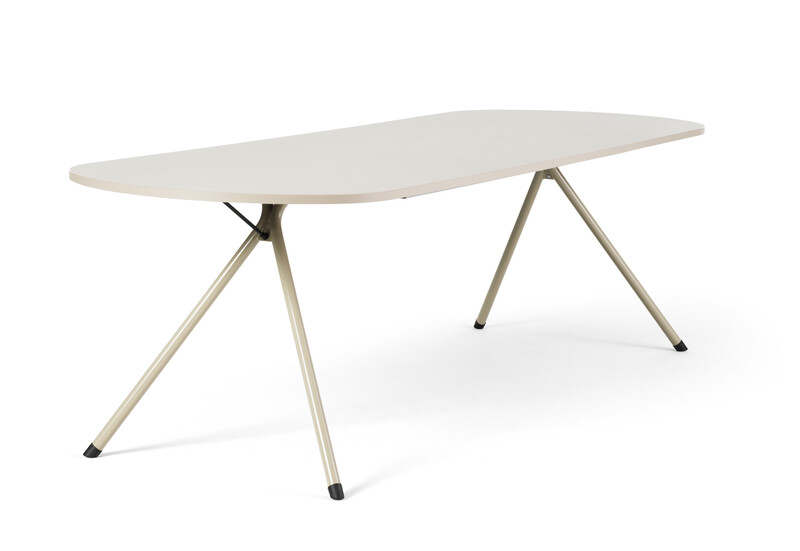 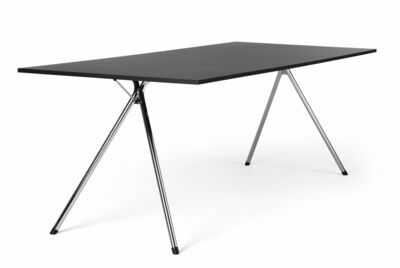 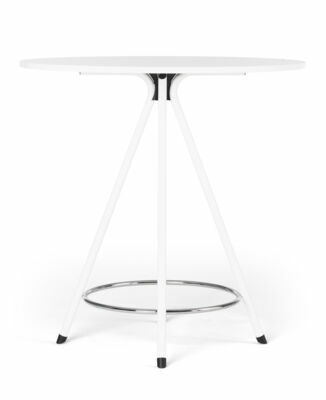 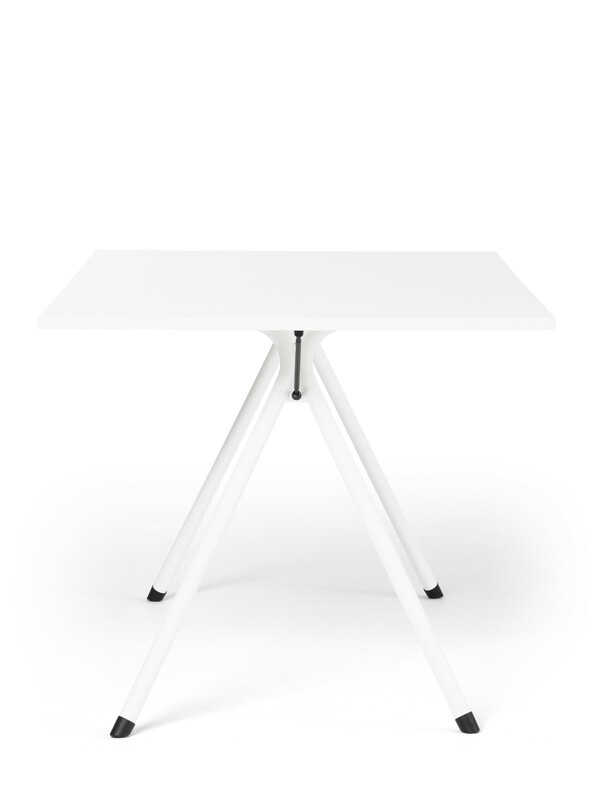 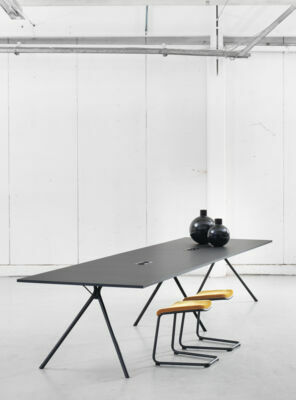 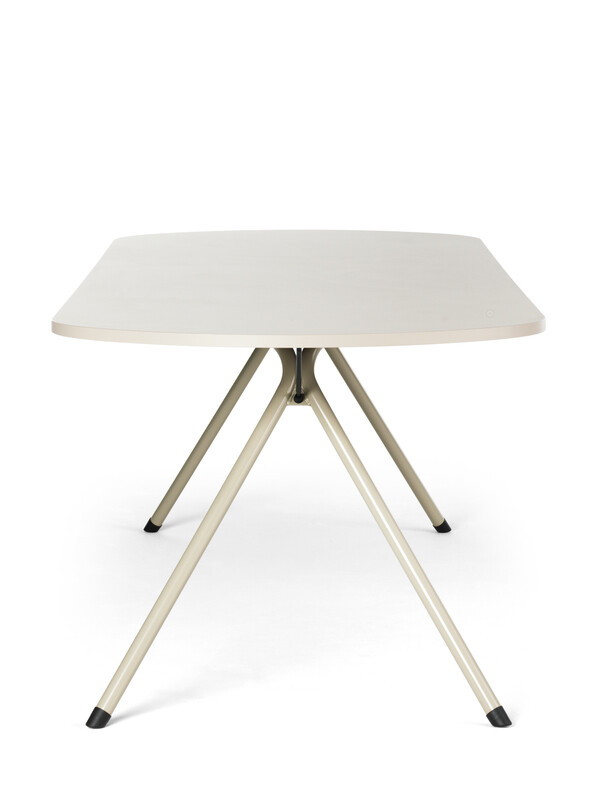 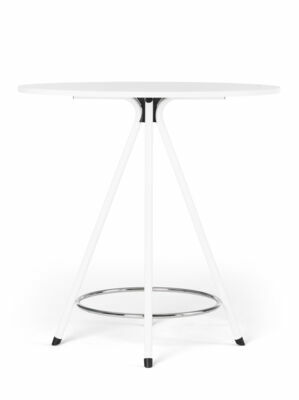 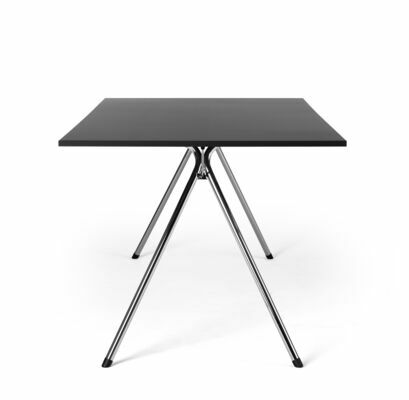 Möbelfakta applies on S18 table with chrome or powder coated base. 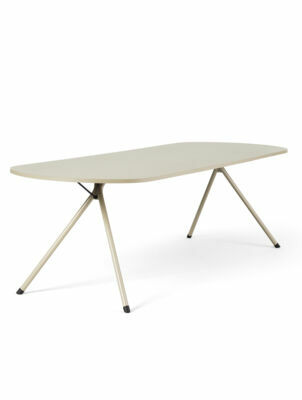 Tabletop in white melamine (NCS S0502-G50) or linoleum.